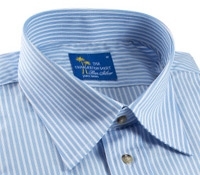 Our new striped cotton and linen Swiss woven summer shirt, cut in our popular Charleston Linen Shirt pattern, with a soft and easy fitting collar, split side seams intended to be worn out, and sporting faux tortoise buttons. 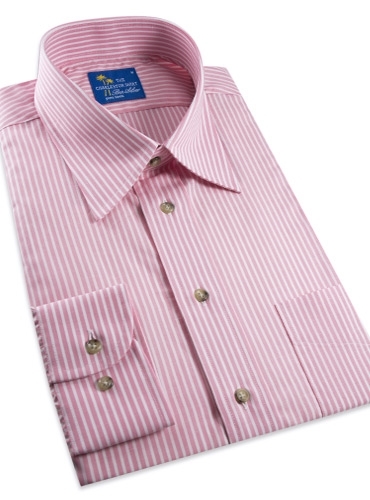 Sizes M–XXL. 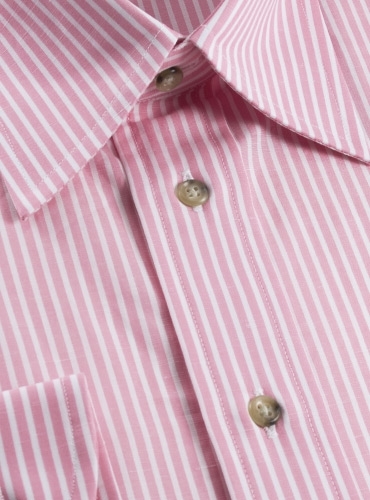 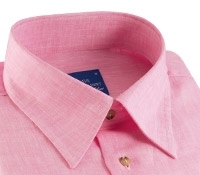 Shown in pink with complementary white stripe. 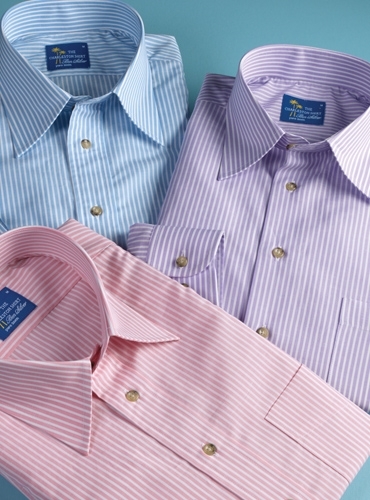 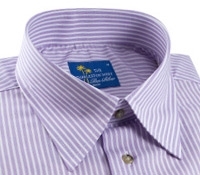 Also available: 7153-sky blue; 7154-lilac.